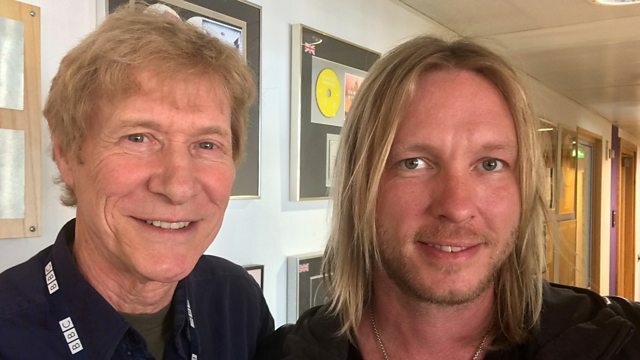 Paul Jones welcomes blues star Kenny Wayne Shepherd to the studio to preview his latest album release, Lay It On Down and to discuss his work with supergroup The Rides. Paul Jones welcomes blues star Kenny Wayne Shepherd to the studio to preview his latest release, Lay It On Down. Kenny also looks back on the past 20 years of his career from signing his first record deal at the age of 16 and recording his million selling debut album, Ledbetter Heights in 1995, right through to his current activities, both with his own band and as part of supergroup The Rides with Stephen Stills and Barry Goldberg. Plus classic sounds from Lloyd Price and Baby Tate plus new releases from Taj Mahal and Keb Mo'. Sonny & Brownie's Last Train.